“Despite significant progress being made by sustainable seafood market-based approaches such as Marine Stewardship Council certification, short sighted management continues to impede fisheries recovery,” said Rangeley. “Realising these benefits is rarely achieved because proposed conservation measures hit where it hurts – the wallet. The lessons learned from Atlantic cod collapses show that we must find solutions that work for both nature and people,” added Dr. Robin Davies, co-author and Deputy Leader, Smart Fishing Initiative, WWF International. The FIRME has been designed to address this very issue. 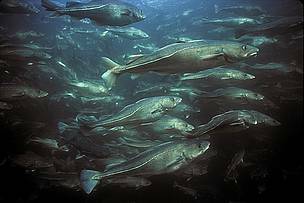 The system will work through loans, based on a credible sustainable management plan, secured against the value of future fish stocks. Loans will be repaid with interest once a certain baseline on profitability is reached, allowing the FIRME’s original capital to be reinvested into the fishery.